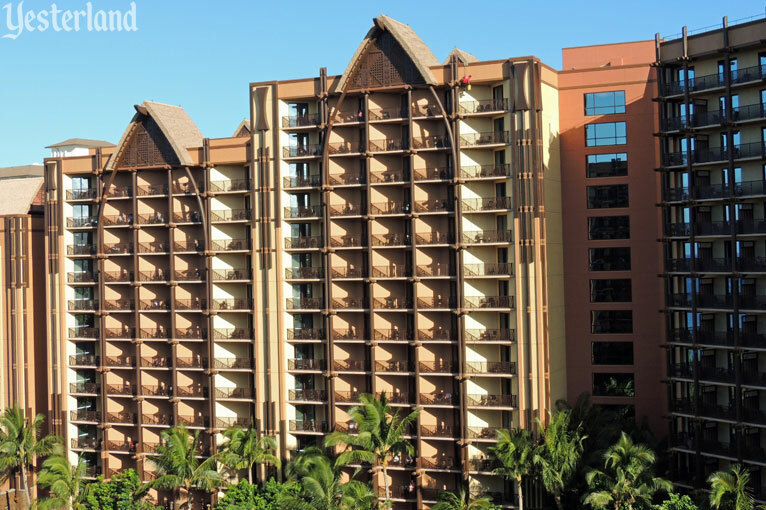 While staying at Aulani, I looked out from our lanai to see someone dangling on the outside of the resort’s Waianae tower—16 floors above ground level. Yikes! , Curator of Yesterland, August 2, 2013. Look for the red spot to the right of the center near the top of the tower. Why was a man in a red shirt dangling from a rope 16 floors above the resort’s Waikolohe Valley? Could it be an extra-cost guest activity, along the lines of the resort’s Rainbow Reef snorkeling pool or its outrigger canoe rides? The answer to the riddle came from watching the man’s actions and looking at the resort’s unusual architectural features. He was doing his job. 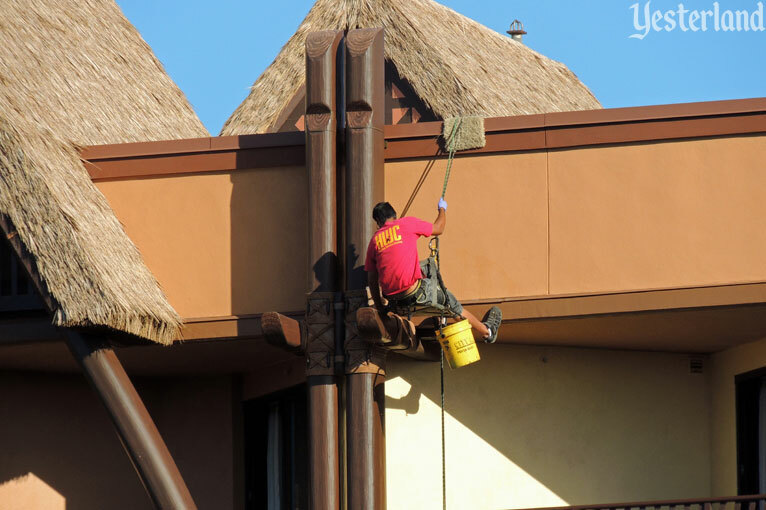 And his job was to clean bird poop from the thousands of beams that protrude from the resort’s structures. 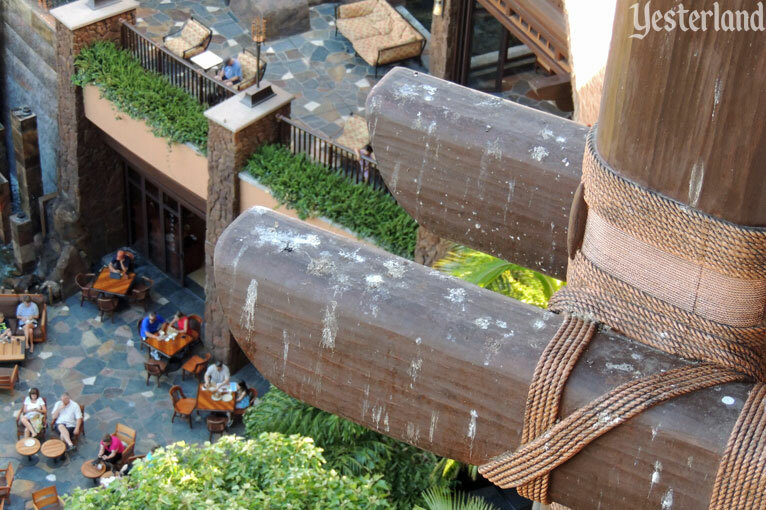 The architecture of Aulani embraces Hawaiian traditions, giving the appearance that massive wooden beams are lashed together with rope. Of course, it’s actually modern concrete and steel construction. 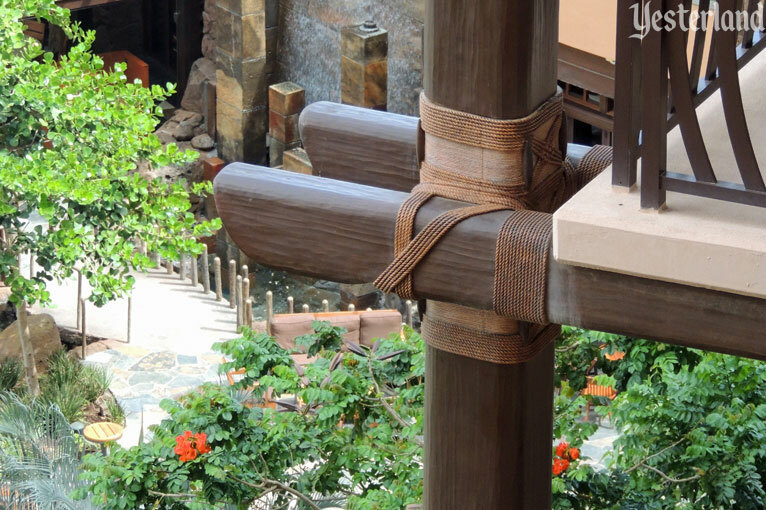 Aulani provides a sense of place missing from most resorts in Hawaii. The beams also provide many places for birds to land—and to relieve themselves. Don’t worry. The restaurant tables are not directly below the beams. 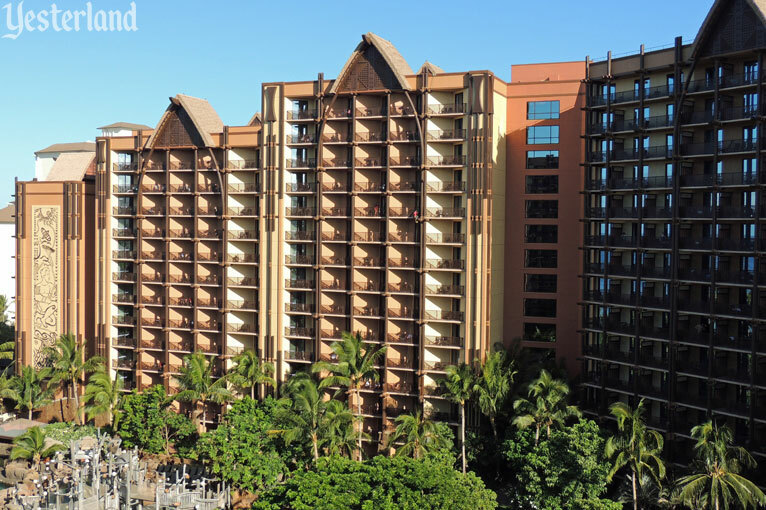 The service is provided by Honolulu Window Cleaning, a company that cleans the glass exteriors of some of Waikiki’s tallest resorts. 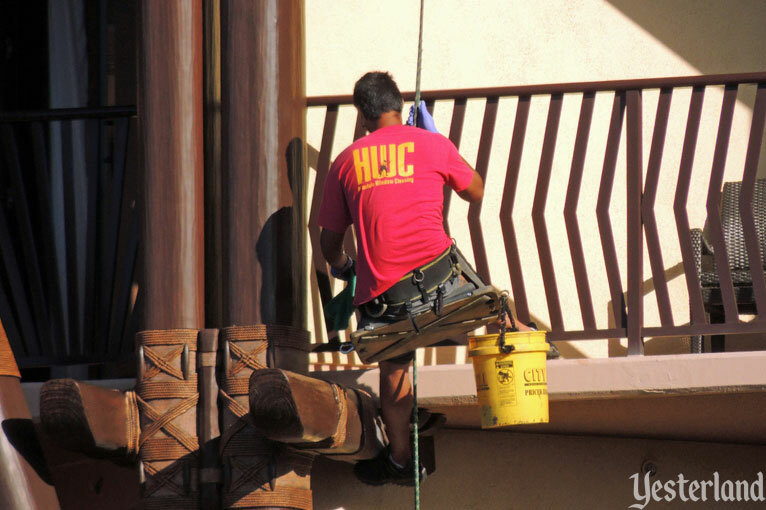 The company also provides other “vertical services” that involve skillful rope access techniques, including concrete repairs, joint sealing, and painting. 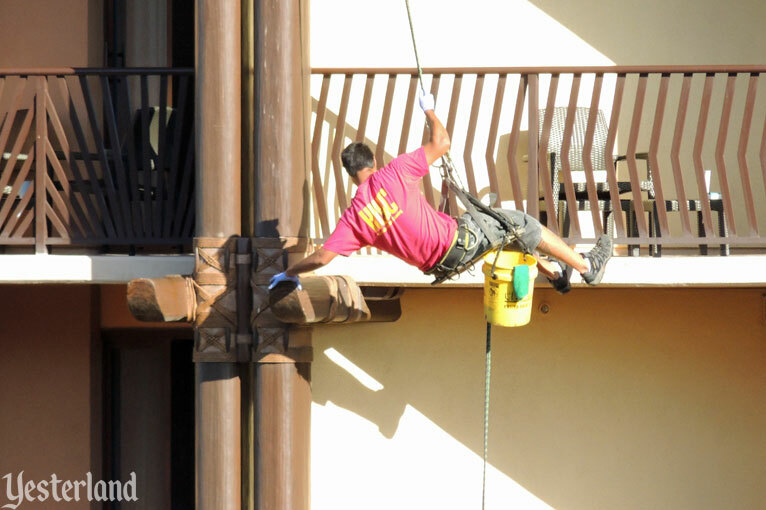 Bird poop cleaning at Aulani might not be as glamorous as repairing Honolulu skyscrapers, but it still has to be a satisfying job for someone with the right skills—and no fear of heights.